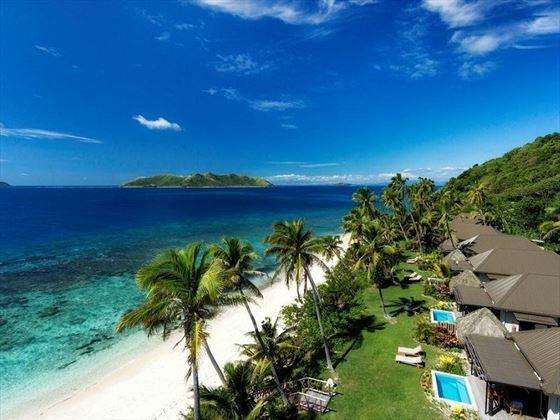 Nestled on the naturally stunning and remote Matamanoa Island, Matamanoa Island Resort offers true tranquillity, luxury, and a connection to Fiji’s wonderful nature for everyone who visits. 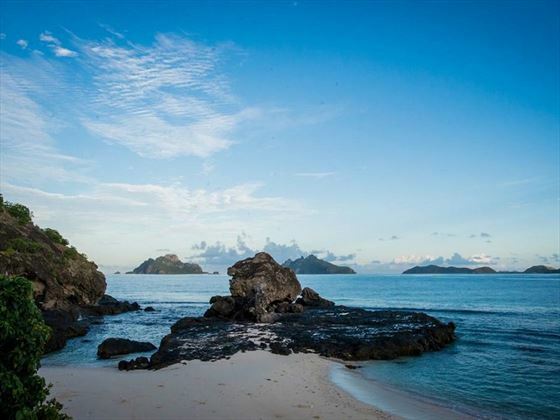 A small and boutique adult-only resort, Matamanoa Island Resort is perfect for a whimsical romantic getaway. 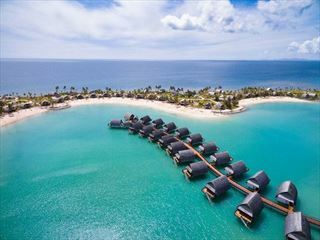 With powdery white sands, dense tropical flora and secluded coves, this gorgeous resort will surely take your breath away. Whether you choose a Resort Room nestled in the tropical gardens, or indulge in a Beachfront Villa or Bure with their own private plunge pool and direct access to the beach, you’ll enjoy a quiet stay where days flow at your own pace. Arrive at the striking Veidomoni Spa and you’ll receive a complimentary foot ritual as you relax in the picturesque lounge, before enjoying a fabulous, holistic treatment with a backdrop of azure ocean. 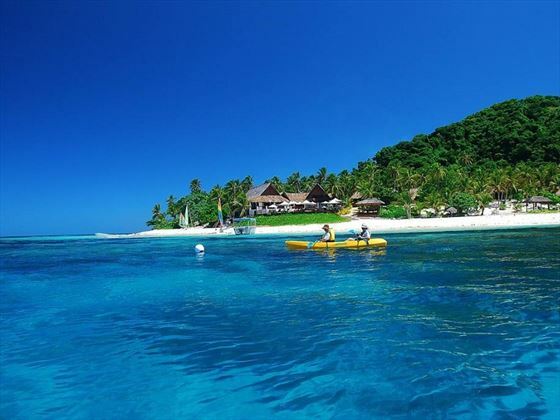 If you fancy a touch of culture, there are many authentic Fijian activities to enjoy, including basket weaving, coconut husking and cooking classes, or you could add a touch of adrenaline with a Hobie Cat cruise. However you decide to spend the day, finish it off with a fresh, a la carte feast at the beautiful ocean-side Vale Ni Biau Restaurant. 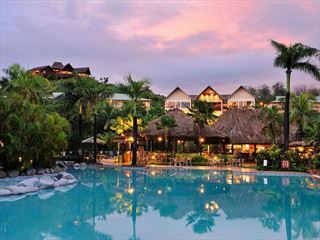 The beautiful resort is nestled on a small island of the same name. 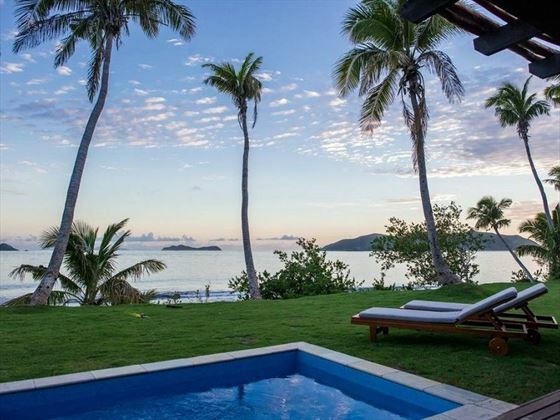 The secluded location evokes a wonderfully tranquil and quiet ambience. 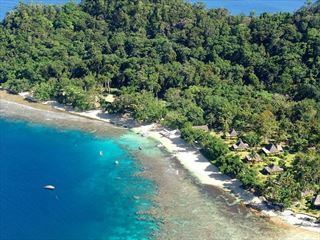 A 10-minute helicopter ride from Nadi International Airport. 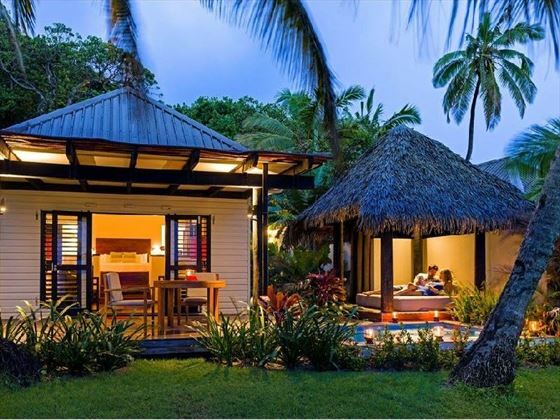 Resort Rooms – Charming 25sqm rooms with gorgeous Fijian décor, nestled within the pretty gardens and close by to the Central area. Featuring a king size bed and a private covered veranda. Sleeps a maximum of two adults. Beachfront Bures – Vibrant 54sqm bures located only steps away from the sugary white beach. These large bures feature one twin and one king bed, a lovely lounge with patterned furniture, a private plunge pool, and a thatched day bed. Sleeps a maximum of three adults. Beachfront Villas – There are nine 57sqm villas located on the North Beach, accessed only by the walkway or on a chauffeured golf cart. 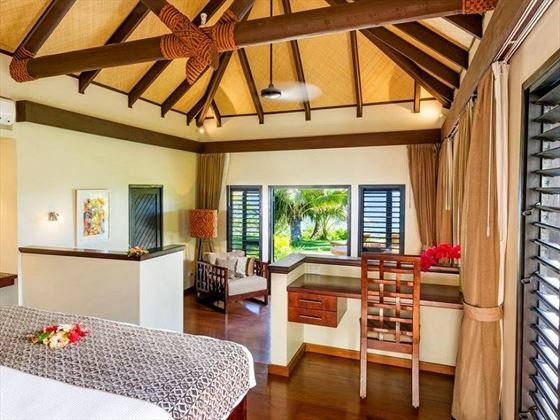 The villas have two split level rooms, the bedroom located on the upper level with a super king bed overlooking the ocean, and a lounge on the lower level. They also feature an expansive outdoor deck with comfy furnishings, a private plunge pool and a thatched gazebo with day bed. 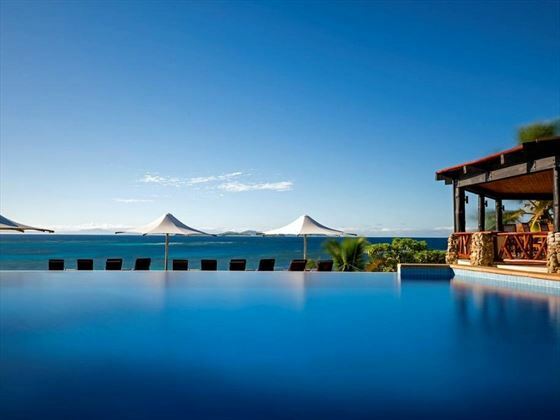 You’ll even have your own personal sun loungers. Sleeps a maximum of three adults. 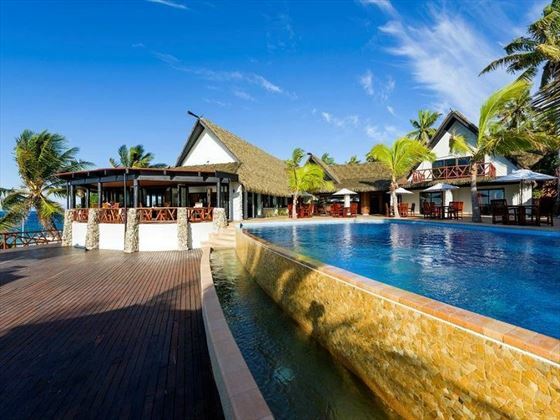 Vale Ni Biau Restaurant – Meaning the ‘House of Waves’, every table here has gorgeous views of the ocean, offering the perfect setting for tucking into international fare with an authentic Fijian twist. You can enjoy a complimentary full American breakfast buffet in the morning, and then lunch and dinner are a la carte. Veidomoni Spa – This tranquil spa is inspired by its naturally beautiful surroundings, offering a deep connection to the earth and a great deal of pampering. Relax in the open-air lounge with a cleansing foot ritual (complimentary), before enjoying a soothing spa treatment paired with stunning ocean views. Honeymooners & Anniversary celebrants receive a bottle of sparkling wine, tropical seasonal fruit platter and hand carved wooden plaque with names etched as keepsake.